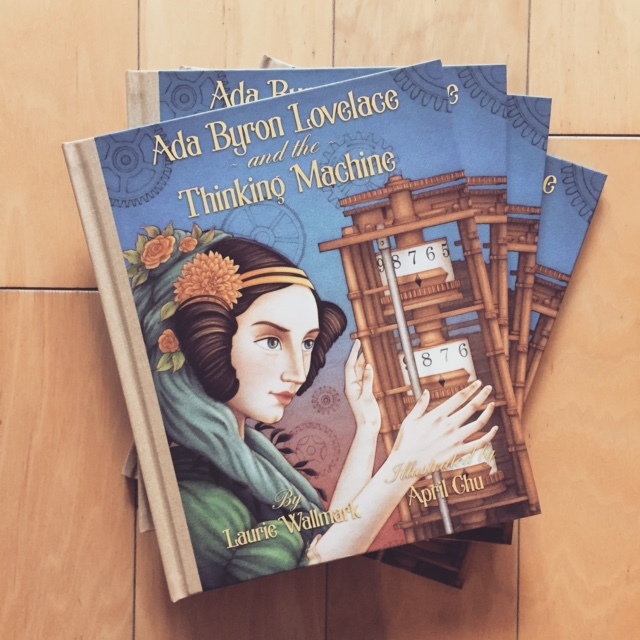 Celebrate the launch of my latest illustrated book Ada Byron Lovelace and the Thinking Machine on international Ada Lovelace Day! Ada Lovelace was a pioneer of technology and continues to be a role model. What better way to honor the achievements of women in STEM than the release party of a book all about this revolutionary woman! This spellbinding illustrated biography introduces children to the possibilities of science and technology at a young age. Over a hundred years before the invention of the electronic computer, when women had very few options outside the home, Ada followed her aspirations and became the world’s first computer programmer. The story serves as an inspiration for children, especially girls, to be fearless in pursuing their passions.